If it's a label, we can make it. When we invested in our Hybrid Digital + Flexo press, which we’ve affectionately nicknamed Prodigy, we took our capabilities to the next level. The combination of the Domino digital engine and the MPS flexo unit is a match made in heaven. 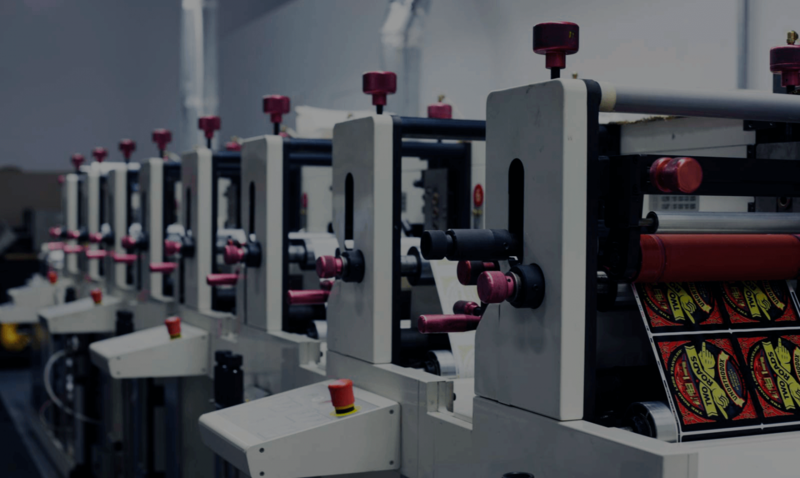 These two names are synonymous with efficiency and quality, and having both printing technologies in one in-line configuration is opening up printing and finishing doors that our clients didn’t even know existed. If you’ve been considering breaking the mold with your labels and packaging, now is the time to explore. Don’t be afraid to ask us to push the limits because by pushing those limits, together, we can make magic. One of our favorite new markets right now is shrink sleeves for craft beer cans, energy drinks, juices, and teas thanks to our secret weapon, Beauty. In addition to boasting the most technologically advanced registration system on the market today, our Omet X6 10-Color flexographic press – which we fondly refer to as Beauty – is specifically engineered for printing on unsupported substrates, and our lower minimums and spot matte/gloss techniques are primed to accommodate the endless bounds of your creativity. Our new investments in technology also include a 100% inspection system that will detect defects smaller than a pinhole - even at speeds of 1,800 feet per minute - crazy, we know. Shrink sleeve and roll-fed labels provide 360 degrees of possibility - the opportunity to use contoured containers and create a more powerful shelf presence. 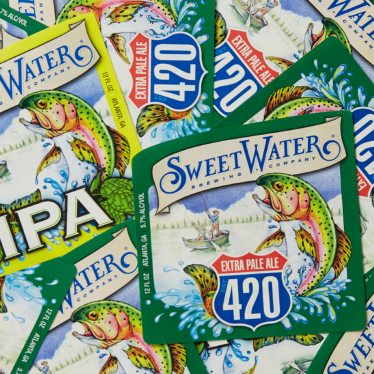 A label that can fit to any shape means endless design possibilities. 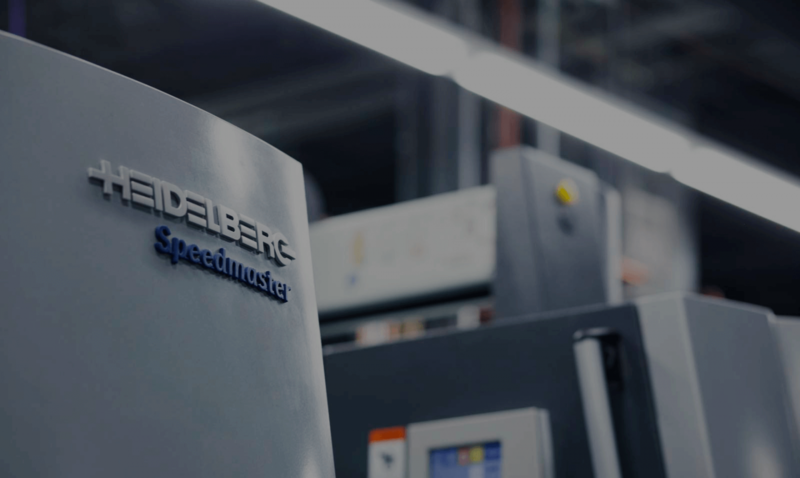 Our Heidelberg XL 106 8 Color UV Press, which we fondly refer to as The Beast, is the first of its kind in the United States. With run speeds of up to 18,000 sheets per hour, the press has more than doubled our capacity and has truly been a game changer for DWS. But more importantly, the addition of The Beast has been a game changer for our clients. These increased efficiencies have allowed us to become more competitive than ever, and we’ve been able to pass through the savings on to our clients. We love that. The press is equipped with the two most sophisticated color control technology systems on the market today - InPress Color Management and Axis Control. This closed loop system measures ink densities as well as L* a* b* values and compares those values to the approved standard, automatically adjusting the ink levels to maintain consistency, even at speeds of 18,000 sheets per hour. Usually reserved for our high volume accounts, we also use our cut + stack technology to provide lower minimums at affordable costs for our clients with lower volume needs through use of combination forms. 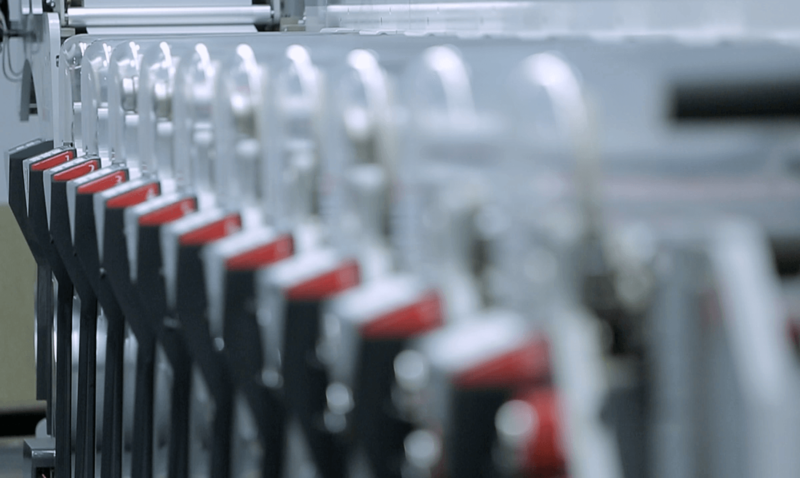 This gives us the flexibility to feel just as confident managing major national accounts as we are starting from the first run with a brand new beverage start-up. Our flexographic department boasts 10-color press equipment with full UV technology. This equipment gives our clients the flexibility to print on a vast variety of substrates and to create intricate packaging for virtually any type of container. Whatever your vision, we have the resources to make it happen. Think big. Because we love to push our limits, and taking on challenges is our specialty. So if you need something new and different, let’s talk. When it comes to investments in printing presses, we go all the way. We opted to partner with two of the best names in flexographic presses - Omet and Nilpeter. And our CEI finishing equipment? Equally as sophisticated. Want proof? Don't be shy to ask for some samples. We think you'll like what you see. 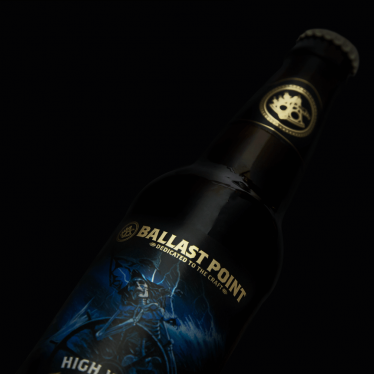 With even more finishing options than cut + stack, and even lower minimums, our pressure sensitive labels give you the flexibility to try out that specialty finish on a limited run of holiday product, no problem. 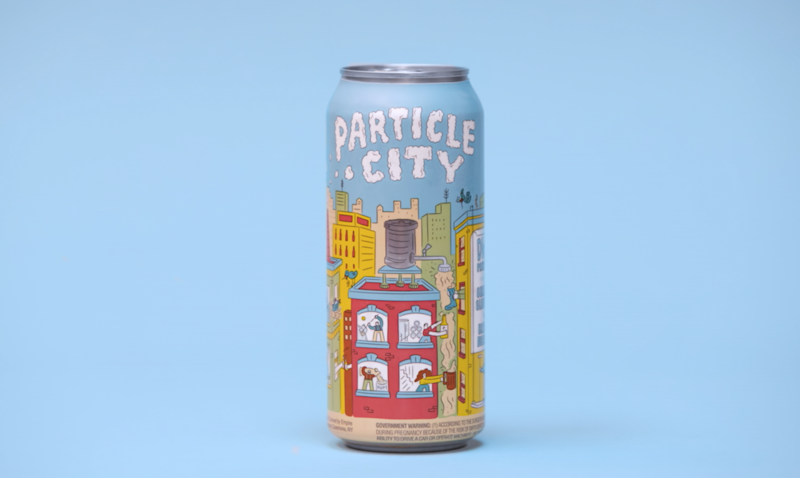 Imagine discovering a company that could design, print, AND apply your shrink sleeves to cans, all under one roof. Wouldn’t that be cool? We thought so. Introducing the latest innovation here at DWS – our In-House sleeve application operation. Gone are the days of having to use a third party to apply your sleeves, which means gone are the days of those extended lead-times and lost sales opportunities. Have a time-sensitive seasonal brew, or last-minute new line extension? Let’s make it happen. With our automated de-palletizer & re-palletizer system, and our sophisticated sleeve applicator & steam tunnel -capable of running at speeds of 300 cpm) - your sleeves go straight from print to packaging without missing a beat. 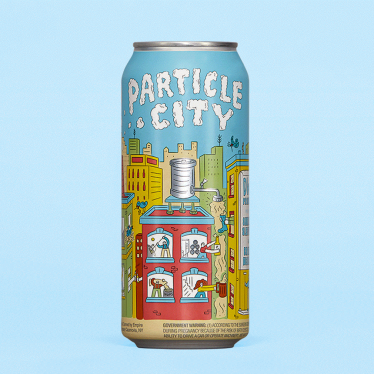 And the quality of our printed sleeves compared to pre-printed cans? There’s simply no comparison. 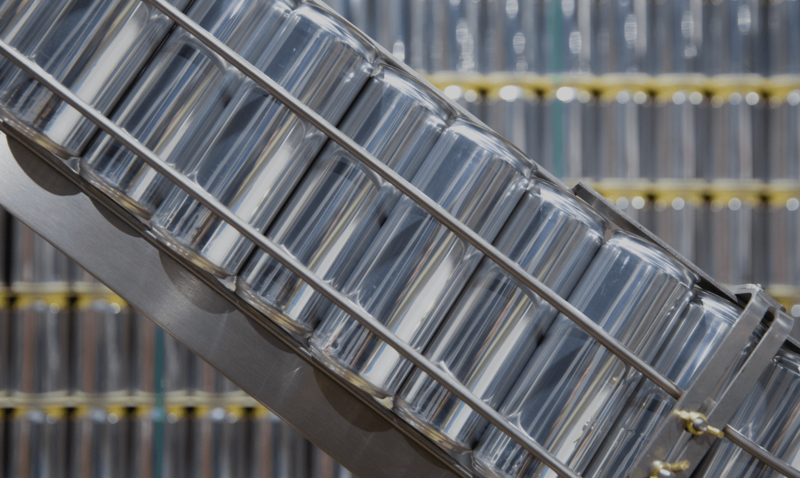 Now you’re also not chained to full truckload minimums of pre-printed cans. We can offer as little as one pallet. Perfect for your next pilot brew, or collaboration beer that doesn’t require the burdensome minimums that the big can guys require.